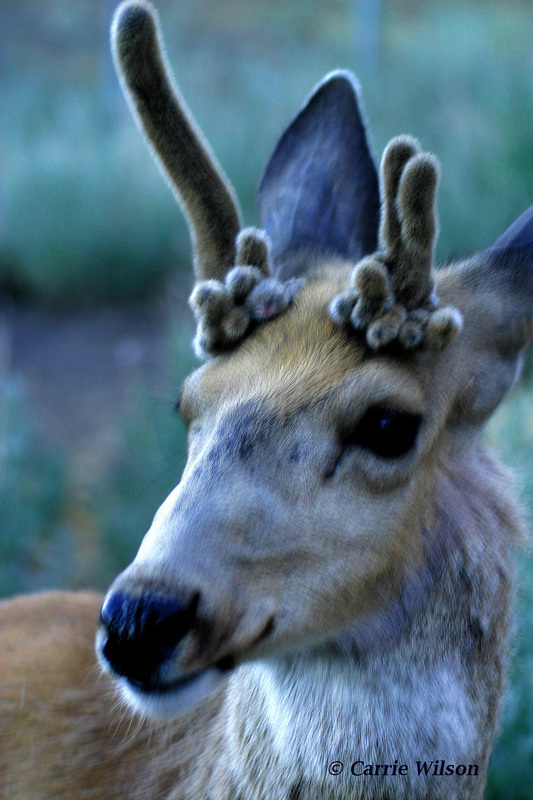 Answer: Deer that don’t shed their antlers are commonly called “stags”. This is usually the result of some kind of injury (or maybe deformity) of the testicles. Testosterone plays a role in both antler development and shedding, so injuries can really affect the types of antlers they have. Weird looking antlers can also result from injury to the antlers while in velvet … but those kind usually fall off normally and are replaced the next year with “normal” antlers. So, this proves there are indeed exceptions to every rule — even biological ones! Question: What happens if a spearfishing diver spots a large fish and shoots and spears it without realizing until too late that it’s a giant (black) sea bass or another prohibited species? Then after the fish is speared and brought to the surface, the spearfisher identifies they have a fish they can’t take or possess and promptly returns it to the ocean. Has the spearfisher violated any laws? A short lingcod or illegal giant sea bass, for example, is unlikely to survive after being shot by a spear fisherman who has the ability to select his target carefully; a short or illegal fish is much more likely to survive being hooked and released by an angler fishing from a boat, who cannot selectively target which individual fish he wishes to catch. If a diver is unsure about the size or identity of the fish he/she’s aiming at, he/she should choose a different target. Shooting a fish that you’re unsure of could be illegal, and we believe that many spear fishermen would consider it unethical, as well. All of these same principles also apply to hunters. No one with a rifle, shotgun, spear gun or even bow should pull the trigger unless absolutely 100 percent sure that their intended target is of legal size, species, gender, etc. An accurate (or even lucky) shot made, but with an error in judgment, isn’t worth the repercussions of breaking the very laws enacted to protect the state’s fish and game. Why the health warnings for brown trout? Answer: The recommendations in our regulation booklet are from the Office of Environmental Health Hazard Assessment (OEHHA). The recommendations are probably from actual studies done by OEHHA of mercury levels in edible flesh from these two species from Donner Lake. According to Dr. William Cox, California Department of Fish and Wildlife (CDFW) Program Manager of Fish Production and Distribution, we do not plant brown trout in Donner and so those fish are essentially wild and older in the system. Therefore, they have been on natural diets and accumulating mercury from the naturally occurring insects and aquatic life that comprises their food chain. CDFW does plant rainbow trout in Donner as part of what we call a “put-and- take” fishery. For most of their lives those fish are not eating natural feeds, and are generally not piscivorous like the brown trout, so they accumulate much less mercury. Humans, especially children and women of child bearing ages, need to limit their intake of mercury because it can have serious health effects, including death. This entry was posted in Big Game, Deer Hunting, Diving, Finfish, Food/Health, Methods Of Take, Saltwater Fishing, Spear Fishing, Uncategorized, Wildlife Management and tagged big game hunting, Deer, freshwater fishing, ocean fishing, spearfishing, Trout Fishing. Bookmark the permalink.